Spring is here! To ring in the new season, we’re talking to Stylist Sabrina Z. about her favorite spring pieces and what’s #trending for spring. Think: botanical prints, lighter (and brighter) layers and show-off-that-pedicure shoes. Keep reading to see style expert Sabrina’s March picks below! Floral kimonos: I love all things vintage and a kimono always make my look feel a little more romantic. V-neck tees: They’re the perfect layering pieces! I wear mine under jackets, cardigans and button-up wovens. Boho dresses: These dresses are the perfect piece to transition into spring! I like to pair mine with booties and a moto jacket for an edgy take on the boho trend. Striped tops: What can I say? I’ll always love stripes! I feel instantly more chic when I put one on. Simple gold jewelry: Simple gold jewelry allows your personality and clothes to make the statement. It also allows for less time getting dressed because it goes with everything! Skinny black jeans: I love the classic Parisian chic style that a black skinny jean evokes. 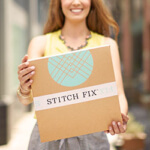 They’re perfect with such a wide variety of pieces from striped tees to cozy sweaters. Colored moto-jacket: A colored moto jacket is the perfect way to lighten up your spring wardrobe but keep that edgy vibe. Strappy sandals: I love the look of a strappy sandal. Plus, as the weather warms up, they’re the perfect shoe to transition from day to night, without having to throw on heels. Chambray button-up: It doesn’t get much more classic than a chambray, I especially love chambrays that are made with Tencel—so soft! Saddle bag purses: I’m reaching for a brown saddle bag this spring for when I want to downsize from my work tote. It’s perfect for quick trips to the farmers market or grabbing a cup of coffee with friends. When Sabrina’s not styling, she’s thinking about all things fancy and french. 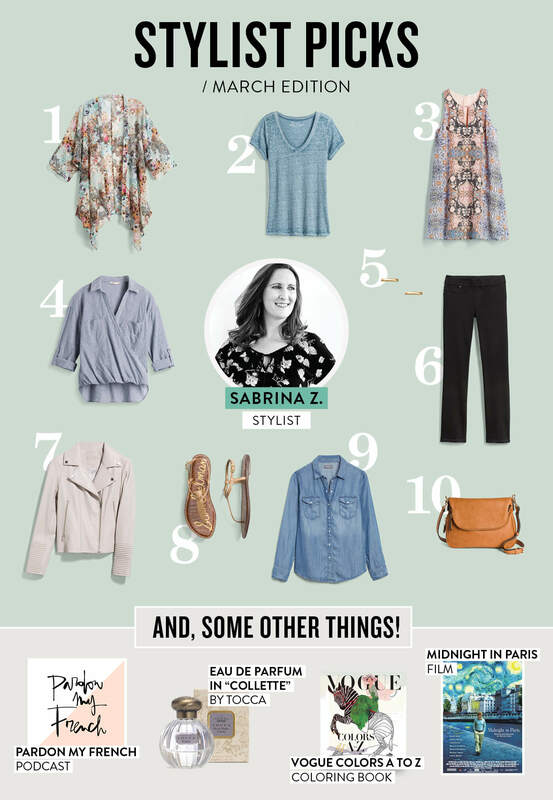 From her favorite movie, Midnight in Paris, to Garance Doré’s podcast, see what else Sabrina’s loving! 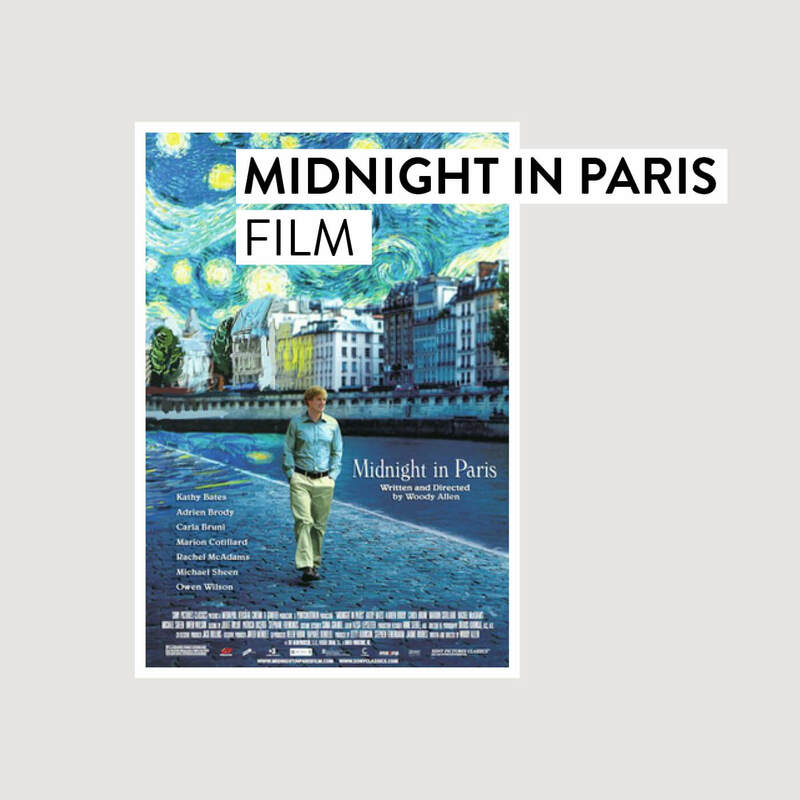 Midnight In Paris: I’ve always been a Francophile and this movie makes me fall more in love with France everytime I watch it. 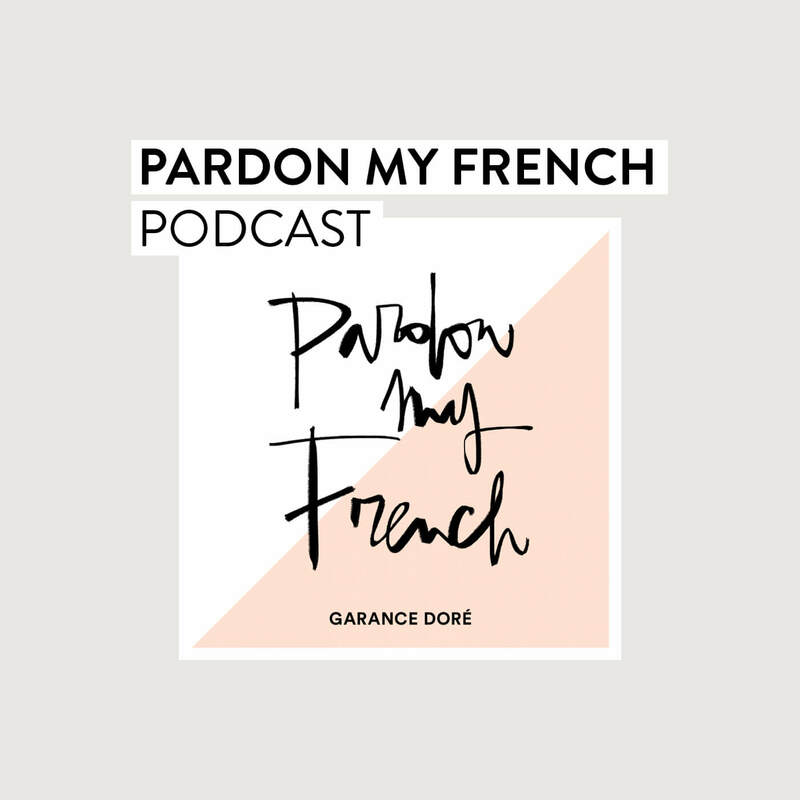 Garance Doré’s Pardon My French: I am a complete podcast nerd! I love to hear Garance and her team talk about all things fashion and wellness! 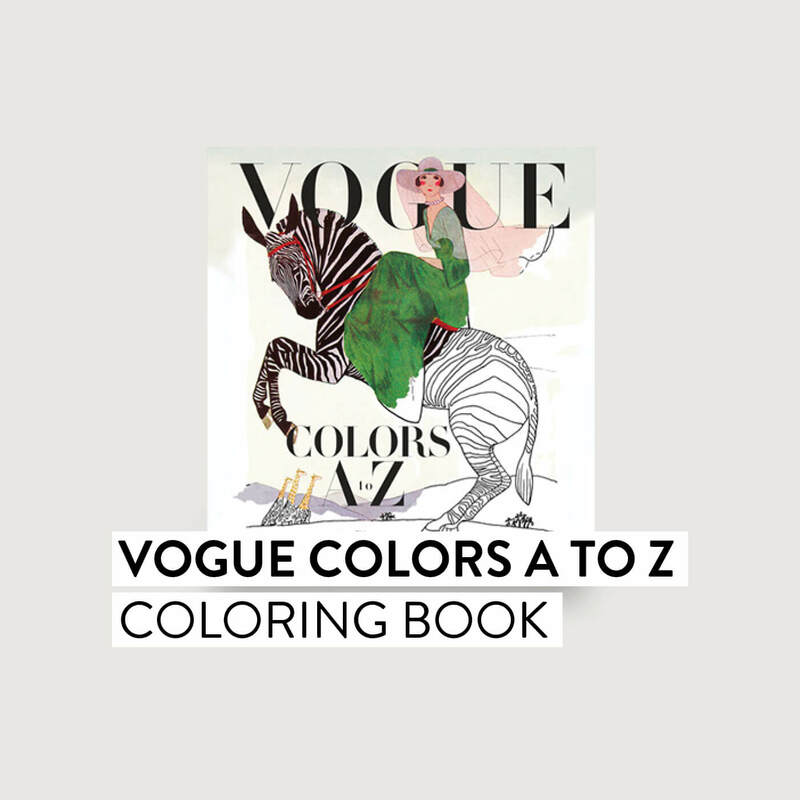 Vogue Colors A to Z: A Fashion Coloring Book: This coloring book combines my love of fashion and art perfectly! Plus, coloring for an hour a day keeps the stress at bay! 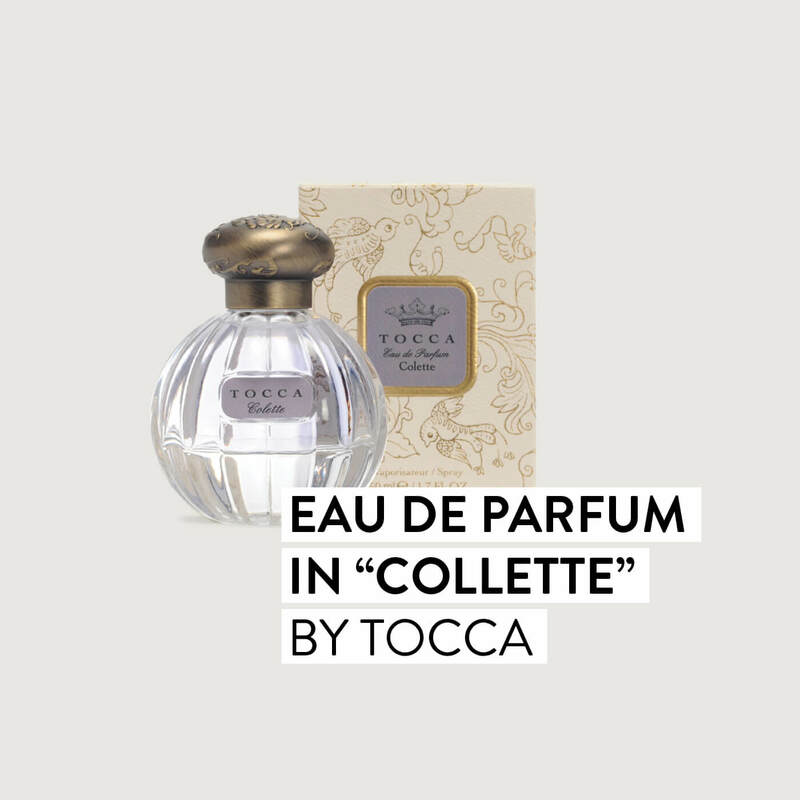 Eau de Parfum “Colette” by Tocca: This perfume has been a favorite now for years. I have yet to get tired of it and I love how just a little bit goes a long way. What do you think about Sabrina’s March picks? Tell us in the comments!